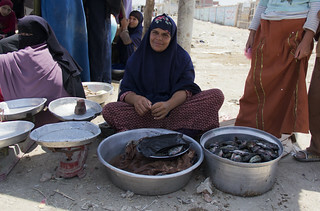 In Egypt, the fish retail sector provides around 14,000 full-time jobs , of which informal women retailers play a dominant role in supplying low-value fish products to low-income consumers. 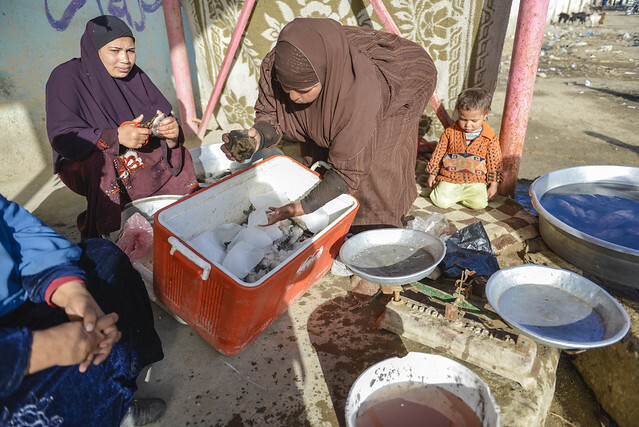 But for women retailers in Egypt, who sell their fish from metal trays in the market or on unshaded street corners in urban and rural environments, it’s a hard way to make a living. Most have limited means to transport or ways to store their fish to keep it in good condition, resulting in quality losses and reduced income. Many retailers have limited negotiating power over vendors, and lack access to low-cost credit to expand their businesses. Additionally, women retailers lack a secure, formal place to sell fish and often face harassment from police, who regularly confiscate their fish because they don’t have an ‘official seller’ license. “If we are caught by the police, we have to pay penalties of 1000–2000 pounds [USD 53–106]. But if we can’t afford to pay this, we get put in jail,” explains Samah Abdel Hamid Shiha from Riyadh, Kafr El-Sheikh governorate. To help women fish retailers—who are among the poorest of the poor in Egypt—address these challenges, WorldFish and its partner CARE International in 2013 established six women retailer committees in five governorates: Fayoum, El Mineya (two groups), Sharkia, Behera and Kafr El-Sheikh. This pilot-scale intervention was through the SDC -funded Improving Employment and Incomes through the Development of Egypt’s Aquaculture Sector (IEIDEAS) project (2011–2015), part of the CGIAR Research Program on Fish Agri-Food Systems (FISH). The committees, formed as part of existing community development associations, consist of 10 to 15 elected women fish retailers. 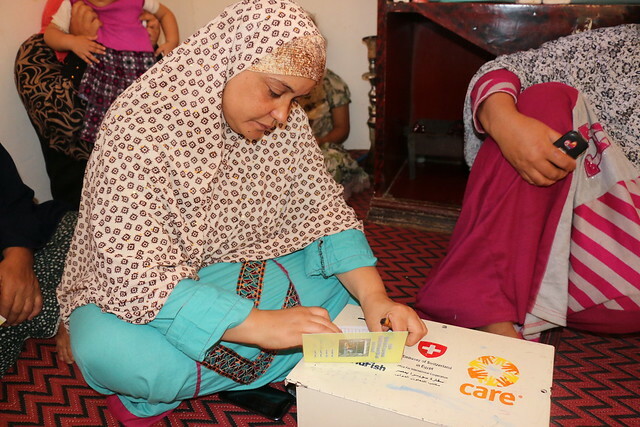 The committees provide training, subsidized equipment and low-cost loans to registered women retailers. Most significantly, they represent and communicate to government officials the daily struggles of registered and unregistered women retailers, who operate within the community and across the district. As a result of this intervention, working conditions improved for 900 fish retailers. On average, project-supported retailers made higher profits (average USD 10/day) than non-project retailers (average USD 1/day). Different approaches were tested among the groups—including market infrastructure, improved transport, distribution centers and empowerment training—helping to inform the project’s understanding of the most suitable interventions for different target communities. Now, the work is being continued with the two most successful retailer committees through the SDC-funded Sustainable Transformation of Egypt’s Aquaculture Market System (STREAMS) project (2015–2018). This work is directly benefiting 1125 women retailers, and indirectly benefiting 6412 family members (based on an average household size of 5.7 people). 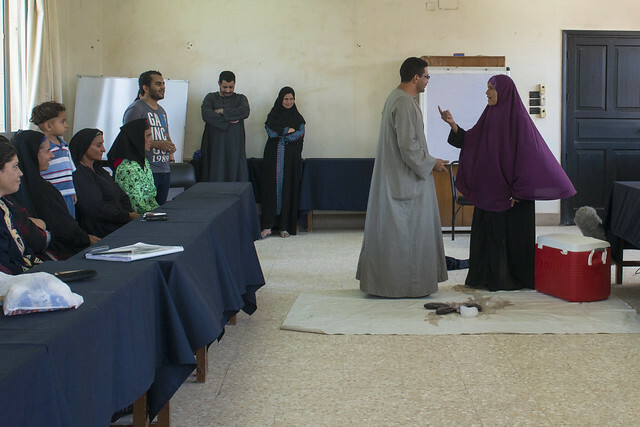 The committees hold training sessions on topics such as gender principles, food hygiene, meeting management and marketing skills. Through the training sessions­, women learned to use their collective bargaining power to influence wholesalers. “Sometimes a wholesaler quotes retailers different prices to take fish on credit. To one woman he quotes 36 pounds [USD 1.97], to another 38 pounds [USD 2.14] and another 42 pounds [USD 2.29],” explains fish retailer Om Ali Hamed Mahmoud, a member of the Riyadh retailers’ committee in Kafr El Sheikh. 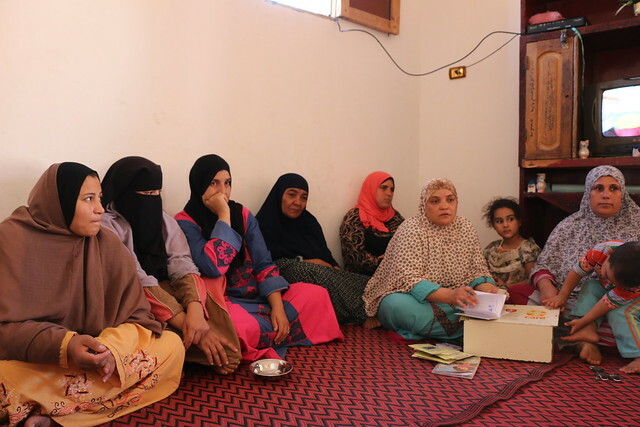 In response, women fish retailers in Shakhshouk village, Fayoum, have started comparing prices after their morning purchases, enabling women to demand a refund if a wholesaler charges higher than the market price. The committees provide subsidized equipment to registered retailers to improve the quality and marketability of fish. For example in Shakshouk village, the local committee provided two tricycles to two groups of four retailers each, as well as 100 sets of fish cleaning equipment and 120 ice boxes to other registered retailers. This enabled women retailers to reach more distant markets, stay longer each day in the market, keep their fish fresh, and increase sales. Using their higher profits, women report diversifying into new products and services such as selling live tilapia, and higher-quality, chilled tilapia and mullet with the help of ice boxes. Slowly, the retailer committees are gaining influence with local authorities. For example, the Shakhshouk committee now represents retailers in nearby Sanhur district and has negotiated with the Sanhur governor to construct a fish market in a central location. Having a clean, shaded area for women to sell their fish is a win-win for everyone – women can sell fish more quickly because it doesn’t spoil in the sun, customers benefit from fresher fish, and residents appreciate the reduced fish waste. As part of a campaign to convince public officials of the need for better conditions for women fish retailers, a series of theater performances depicted harassment in the market and violence against the women. This is a key part of the project’s efforts to have informal fish retailing turned into and seen as a formal profession. Day to day, lack of access to working capital remains a key challenge facing women retailers, who are ineligible to borrow funds from formal banks or lenders. This often forces them to buy their fish from wholesalers or traders on credit, which is charged at 20 percent interest—a huge markup for a poor retailer. 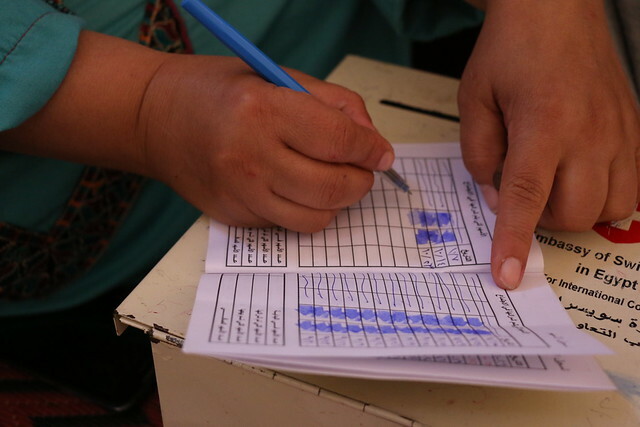 To improve access to credit, the IEIDEAS project in 2015 established 13 village savings and loan associations (VSLA) in the villages surrounding Riyadh district, Kafr El Sheikh governorate. The STREAMS project has expanded this work, meaning all 20 villages in Riyadh now have at least one VSLA group (representing 330 total members). The popularity of the groups has inspired community members to self-form an additional two groups, separate to the project. The VSLA groups consist of up to 25 female and male members, half of whom must be fish retailers. They hold weekly meetings, where members contribute up to 50 pounds (USD 2.73) in savings, the total of which is used to issue loans to group members. 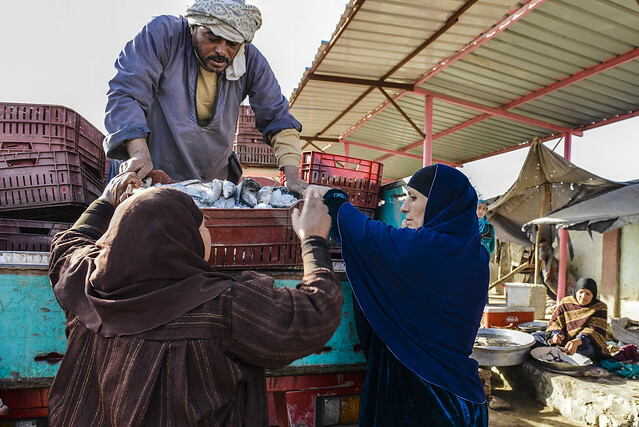 When Nesma Abdel Nabi wanted to buy more fish to increase her sales, she found it easy to take out a loan from her VSLA group, El-Zahoor, in Abu Mustafa village. “I didn’t need to provide any official paperwork like the big banks need and I can make small weekly repayments. 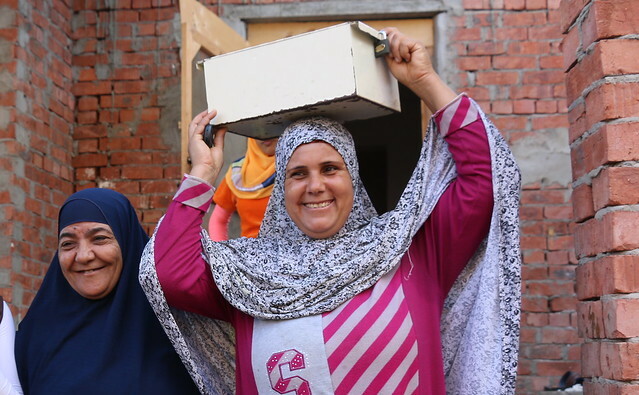 This flexibility is not possible with formal loans,” explains Nesma, the money box keeper for her group. As well as issuing loans, the VSLA groups encourage women fish retailers to save money. Most of them are poor—usually either wives of fishers or without land to farm, or widowed, divorced or having a husband who is unable to hold full-time employment—and have low financial literacy. “I don’t know if I’m making a profit or not from my business. But I do know that making weekly contributions to this savings groups is not a burden for me,” explains mother-of-four Amal Sobhi, registrar of the El-Zahoor group. Through the project, the women and partners have collaborated on innovatively building the human, social, physical and financial capital of poor women fish retailers, which has improved the livelihoods and working conditions of women fish retailers.